About six months ago Joe Landwehr sent me his recent book Arithmology in the Birthchart (henceforth referred to as Arithmology). Beginning to read the author’s account of number symbolism in application to astrology, I asked Joe to send me his previous book (referred to henceforth as Reformulation) that sets up the general framework for the book he had sent me. In their current state these two books should be read together, yet they total 843 pages : as a later author said of Milton’s Paradise Lost, one would not wish it to be any longer. It is also one of the most original works I’ve seen coming out of our astrology community. Joe Landwehr’s work is conceptually rigorous and complex, beyond the sustained attention span and perhaps the life-span of this reviewer. I will comment on what I’ve been able to read and absorb up to this point. If, like many astrologers, you want to get straight to application and technique, scan toward the end of the article, looking for the headings of “Now For the Astrology, then “What does He Do with All This?” And, if you want to explore areas of disagreement between me and the author, I’ve inserted some of his responses at the bottom of this article. What is “arithmology?” It’s a systematic study of the qualitative dimension of number and their relationships, an examination that began with the Pythagorean tradition of the ancient Greeks and present in many great western thinkers from Plato to Kepler. The familiar tetrakys in which the numbers one through ten are assembled in this manner, showing these numbers as an overall structure as well as illustrating their relationships. Landwehr’s arithmology works with allegorical implications of basic numbers and their relationships, related to musical intervals and harmonies/disharmonies, geometry sacred and profane, astrology and the psychology of personal growth. In his introduction to Reformulation, Landwehr tells us that arithmology can be linked to mathematics as astrology is to astronomy. This is different from most uses of numerology that works with correspondences between numbers and the letters in a name or the words of a sacred text. Landwehr’s goal is to use membership in or openings to one or several number “Realms” to depict an individual’s path of spiritual development and his or her contribution to the world. Your interest may be in the modern theory of harmonic astrology that helps us understand and use non-Ptolemaic (“minor”) aspects in interpreting an astrological chart. Landwehr, however, is more interested numbers that emerge from sign/planet relationships, quadrant and house emphasis, a planet’s synodic and/or sidereal rhythms, chart patterns and general aspect configurations, as well as specific aspects. He introduces harmonic charts late in Arithmology, mostly looking at aspect configurations within the harmonic chart to determine if the corresponding number is important to understanding the client. You may be already familiar with the relationships between planetary aspects and number from the ancient world (here’s my previous article) . Landwehr’s background includes kundalini yoga and he brings their chakra system into his depictions of numbers and astrological symbols. 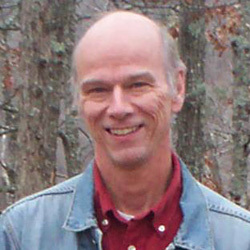 As somebody who has studied Dane Rudhyar is some depth, Landwehr applies astrological symbolism to spiritual growth; he also has inherited some of Rudhyar’s prejudices about traditional astrology. The author gives a prominent place to the major asteroids and endeavors to include feminine symbolism throughout his work. He has read extensively and has contemplated much of the mythology of the ancient world, the Germanic tradition, and of the Native Americans. He well-read in literature, quotes poets and even his own poetry, and he calls his astrology “astro-poetics”. My kind of guy. When I began reading his depictions of the Number Realms in Arithmology, my immediate response was to ask, “where did he get this stuff?” Reformulation as a whole serves to answer that question. I was struck by Chapter 10 of Reformulation where he focuses on the tetraktys, the lambda from Plato’s Timaeus, and music theory. This gives us a sense of Landwehr’s first principles. If you are taken aback by his formulation of the Realm of Six, for example, he gives us this explanation. This dizzying depiction shows the relationship between number and musical intervals and soul development that places him in line with important Western wisdom traditions. His primary source, or place of departure, is Iamblicus who lived about 750 years after Pythagoras. The Theology of Arithmetic was written by Iamblicus or one of his students and was recently translated into English by Robin Waterfield. Iamblicus was a neo-platonic thinker who developed theurgy, “god working”that worked with ancient divinities and popular ritual, integrated with the spiritual philosophy of his day. The Theology of Arithmeticis an attempt to equate ancient divinities with numbers instead of spiritual philosophy, although the later appears to follow. If a number can be equated to an ancient deity and that deity also has a heavenly body named for or associated with it, then the heavenly body has a quality of that number and that planet may be an “opening” into a Realm. Landwehr also frequently refers to the work of Manly Palmer Hall, an early twentieth-century writer of Rosicrucianism, the Kabala, and modern Hermeticism. What basic principle do these numbers and their Realms symbolize? I’ll use chapter titles from Reformulation and short descriptions to give a sense of them. This is meant to hint at the complex presentations given by Landwehr that includes mythological and literary motifs as well as the kundalini chakras. Realm of Zero, “Into the Abyss”. We could call this chaos, the creative void from which everything emerges, the experience of the “dark night of the soul”, the world of the underworld. Within this unconsciousness there may be a call to consciousness as an alternative. Realm of One, “Into Being”. Emerging from chaos is the beginning of consciousness, the gods and goddesses that we project to promise an ordered cosmos. There’s the potential for channeling divine intelligence. Realm of Two, “Into Soul Space”. Here we encounter duality, get the juxtaposing contrasts of opposites – dark and light, masculine and feminine, body and soul. Consciousness can engage the shadow, go down the paths of equality – leading upward – or paths of inequality – leading downward back to Zero. Realm of Three, “Into Conscious Power”. Here one has or develops perspective over what we had determined to be opposites in the Realm of Two. If we prefer one side of a polarity and suppress the other side, the result is spiritual stagnation; otherwise we may see that the sum of the opposites is greater than its parts. Realm of Four, “Into Manifestation”. Here we get the more concrete physical plane with its elements (earth, air, fire, water) and the four directions. Working with all the elements begins an embodied experience of soul. Realm of Five, “Into Life”. What holds together the manifestations, the appearances of the world that divide into elements and directions? Divine Intelligence coordinates the world within a natural order. (Landwehr re-introduces the idea of Intelligent Design as a philosophical and spiritual concept, not a “scientific” assertion. Kudos.) Here he talks of consciousness being hard-wired into the natural world and into ourselves. Realm of Six, “Soul Work, Healing, and the Quest for Meaning”. What are our primal wounds or personal issues that serve to keep us separate from others and ourselves? Here’s where we learn from our own mistakes and develop our potential from our shortcomings. Realm of Seven, “Creativity, Initiation, and the Pivot Point of Change”. Through the process of healing we are better able to respond to life creatively, what Landwehr calls complex creativity. This is exemplified in individuals who respond to situations not habitually but according to what is appropriate. Realm of Eight, “The Wisdom of the Serpent”. (Think Caduceus.) From the experiences of Six and Seven, the evolving soul begins to harvest and express wisdom. The keywords would be balance, perhaps dynamic equilibrium. If we don’t use this opportunity to rebalance our imbalances, our energy becomes dissipated and our lives decay. Realm of Nine, “Fate and the Portal Between Dimensions”. Here we encounter the results of our previous individual and collective choices, what we think of as our “fate”. Here there’s death to a lower reality that was about the self and the seed of a higher reality that is ahead. Realm of Ten, the cycle begins again but at a “higher turn”, for now the creator and the creation are the same. The choice is stark, between the embodiment of divine intelligence or another round in the realm of the Abyss, the Realm of Zero. For astrologers who’ve followed and used number symbolism based on the harmonic astrology by John Addy, David Hamblin, Charles Harvey and Michael Harding, some of this won’t make sense, especially the numbers six (the sextile), eight (a denser “harmonic of manifestation” than four) and nine (fulfillment, as the square of three that is the trine relationship). Others coincide more easily. Our conventional view of number symbolism, from Pythagoras and Plato and the Neoplatonists, uses number symbolism to account for the suchness, organization, and the multiplicity of our worlds of mind and appearance. This would be an ontology, a study of how things are. Landwehr’s presentation, however, is closer to a phenomenology, accounting for how we organize our experience of the world, closer to Jung than Plato. However, Landwehr focuses on experience at a rarefied level, more transpersonal than ordinary, more about a journey to enlightenment than our ordinary experience. Landwehr’s project seems akin to that of Alice Bailey, especially the Initiations that provide a spiritual path and the Seven Rays that show different features of earthly and spiritual existence. Landwehr’s interest is in spiritual evolution and how astrology helps depict and promote that journey for those who will undertake it. In its staggering complexity, his system is closer to Bailey and the Theosophical movement than to contemporary Evolutionary Astrology. My instant reaction was that Landwehr conflates the Abyss – chaos, cruelty, accident, the collective and personal underworld – with the fertile void out of which everything emanates unceasingly. I then wondered that my Buddhist background was prejudicing me against his formulation, but when I read the depiction of Zero in Reformulation where he depicts Zero using the Buddhist depiction of shunyata or emptiness, I knew I had to respond. On page thirty-one of Arithmology we read, “The essential emptiness of form is ultimately what allows the soul to undertake its evolutionary journey using form as its vehicle. It is only as form after form after form is shed that the true nature of reality or shunyata reveals itself.” However, if form is emptiness and emptiness is form, then there’s no need to shed form, nor is shunyata a reality different from our world as it is or how it appears to us. Over the centuries, Buddhist investigation and analysis of shunyata has endeavored to purify shunyata of being an entity of some kind. Buddhists call shunyata a “non-affirming negation”: not-something does not create an alternate (perhaps idealized) reality. Landwehr’s understanding of emptiness makes it into a kind of pervasive thing, perhaps like antimatter is to matter in contemporary physics. Using emptiness as an independent realm may be okay in some western metaphysical architecture but it is not the Buddhist understanding. Returning to his depiction above, Landwehr refers to the soul as an autonomous entity of some kind that has an evolutionary path. However, this depiction of soul precludes an understanding of shunyata or emptiness in accord with the Buddhist tradition. Instead, his depiction of soul is more in line with the Theosophical movement of the 1800’s that continues to influence modern astrology. The idea of Number Zero being chaos or underworld is appealing, since this is reflected in much myth and literature across cultures. Yet at each stage of any spiritual journey there’s an underworld or shadow, an intrusion by ego or spiritual self-deception. As we move along from self-actualization toward transpersonal fulfillment there are dangers; at each step there are “glamours”, to use Bailey’s word, areas of vulnerability where ego can take over and can destroy everything. The Realm of One gives me a different set of concerns. Landwehr discusses the emergence of consciousness, the spark of divinity that rises from the Abyss and projects a god or gods and goddesses to objectify subjective awareness and an external sense of order. Unfortunately, the author’s distaste for organized monotheistic religion limits the scope of his inquiry; he misses a millennium of symbolism that could make his work more universally applicable. Another concern is that projecting the monotheistic personal (ancient Hebrew and Christian) or creator god (ancient Greek and Christian) is qualitatively different from projecting an open-ended polytheistic universe praised by, for example, William James and James Hillman. Both monotheistic and polytheistic versions have potential profundity, frivolity, and a lot in between, mirroring those who are inspired or consoled by them. I find it difficult to reconcile the author’s depiction of One with Eastern and Western wisdom teachings on what we could label “the Absolute”, or that oneness that is inseparable from everything but cannot be apprehended or comprehended. This is a dimension of divinity that is sacrificed to Landwehr’s phenomenological/transpersonal depiction of the Realm of One. (Landwehr’s depiction of the Kabala’s Ain Sof – that he considers their name for God – may be an oversimplification; I will leave that determination to others.) Perhaps I’m being ontologically nostalgic. The Realm of Two seems on more certain ground, as the place of polarity and the division into opposites, contrasts. Here he gives a lot of space to the feminine principle, which is one of the strengths of his work. We respond to this realm by two paths, inequality and equality. The path of inequality will favor one side of a polarity and cast the other as “Other”, perhaps as shadow; the path of equality leads to creative love, tolerance, compassion. “The path of equality facilitates the process of becoming, while the path of inequality generally leads back to the Abyss” (Arithmology, page 173). I can’t decide whether my problem here is about being or about knowing: what are the criteria whereby we see two sides of a polarity as equal? It also appears humanly impossible to maintain oneself on a “path of equality”, for there is also our faculty of discriminating awareness that finds a world in a grain of sand, or love for the Little Prince for his singular rose, or in the person with whom he or she has fallen in love. Landwehr produces an astrological “algebra of life”, using these Number Realms in ways similiar to the work of Dane Rudhyar, who used an archetypal cycle to depict signs, houses, and aspects and other planetary relationships. There’s also a parallel between Landwehr and the work of the medieval thinker Ramon Lull, who depicted signs, planets, herbs, medicines, and other factors using letters that depict elements and qualities. The qualities he uses to determine complementarity and disparity are mode, gender, and season. Sun, like the sign Leo, is in the fixed mode, the masculine gender, and the season of summer. Sun in Virgo would share season but not mode or gender. Thus, Sun in Virgo would be Realm Two, because of one factor of complementarity (season) but two of disparity (gender and mode); Sun in Capricorn, a cardinal feminine sign of winter, would share none and be “an opening” to the Realm of Zero. Moon shares Cancer’s qualities of cardinal, feminine, and summer; my Moon in Sagittarius, the mutable masculine and autumnal sign, is also in the Realm of Zero, since the Moon is none of the above, keeping dark company with my Capricorn Sun. The five starry planets, because they govern two signs each, have more possibilities of complementarity. I have Saturn in Scorpio: it shares the fixed mode of Aquarius and the feminine mode of Capricorn, yet its autumn season shares with neither. Saturn would be a Realm of Two; happily, my Venus in Scorpio shares season (Libra is autumn), mode (Taurus is fixed), and gender (again from Taurus). This wreaks havoc with our normal depictions of planets in their signs of detriment, exaltation, and fall. You may welcome or resent this. There is a table of planets in signs on Arithmology page 34, although the chart is cut off and I found one error. If inspired, you can check out his grid and finish it yourself. Quadrant and House Placement. I am impressed by his depiction of the angles and the diurnal direction of the birth chart; unfortunately, he shapes his descriptions of houses based upon the angles and they seem forced. Wedded to the quadrant system of houses, many modern astrologers do not distinguish between angles and houses and run into problems. His difficulty, shared by many astrologers, is that the houses are sign relationships to the signs of the Ascendant along the lines of angular-succedent-cadent and the aspect a sign forms to the sign of the Ascendant. (Astrological tradition contains examples of houses derived from the North Node, Moon, or Fortuna, not just the Ascendant). The angles and quadrants are about the mundane sphere, as Landwehr states – but not the houses. The North (I.C.) is the birthplace of the gods and establishes the momentum toward manifestation. The Ascendant is the “emergence of creation from the formless void”; planets in the Northeast are thus openings to the Realm of One. The Ascendant East and the following Southeast quadrant are of the rising Sun, will be more conscious and intentional in their activity. The Southwest, beginning with the degree of the Midheaven, has the quality of relief and healing – Landwehr discusses the ancient Elysian Fields in this context – and the place for external relationships in the soul’s development and manifestation. Planets’ relationship to number uses several factors. In a procedure that has ancient origins, when looking at synods and orbital periods for planets, what numbers come up? In ancient times they looked at number patterns pertaining to Sun-planet synods, coming up with thirty for Saturn, twelve for Jupiter, fifteen for Mars, nineteen for Sun, eight for Venus, twenty for Mercury, and twenty-five for Moon. Landwehr gives many possible numbers for planets and asteroids, yielding complex results. Landwehr uses both synodic and sidereal cycles to come up with numbers. The Realm of Three is associated with Mercury (its synodic period of 116 days x 3 is 358), Jupiter because it moves through each quarter in three years, completing its sidereal period of 11.9 years, Uranus because it completes one quarter of its 84 years in 21 years, and that’s 3 x 7). In this way you can also see how planets participate in many realms, since we need to look at four for Mercury (its sidereal period times four is 352 days) and Jupiter (12 has 4 also as a divisor) and Uranus would relate to Realm Seven as well as Four. In addition to using “orbital dynamics”, Landwehr also looks for mythical associations and inter-chakra dynamics. For mythological associations he uses the school of Iamblichus and Manly Palmer Hall, primarily drawing from the ancient world by using motifs from the indigenous people of the Americas. He discussed the kundalini chakras in his previous book The Seven Gates of Soul; in Arithmology, he seems to assume you know them already. The (modern) Wheel of Rulership yields specific planetary relationships along the lines of number: since the signs governed by Mercury and Jupiter and by Venus and Mars oppose each other, these combinations can enlist the chart into the Realm of Two even if these planets do not aspect by opposition. Landwehr inadvertently comes close the ancient depiction of triplicities or trigons in his depiction of planets whose inter-aspects invite them into the Realm of Three: since, for example, the fire signs trine each other, combinations involving Mars-Sun-Jupiter are of this realm. How do you know to which Number Realms a chart – like yours – resonates? You would look at these factors above, and on page 323 of Arithmology, he includes a look at the harmonic charts for these numbers. He does not explain harmonic charts so I will. 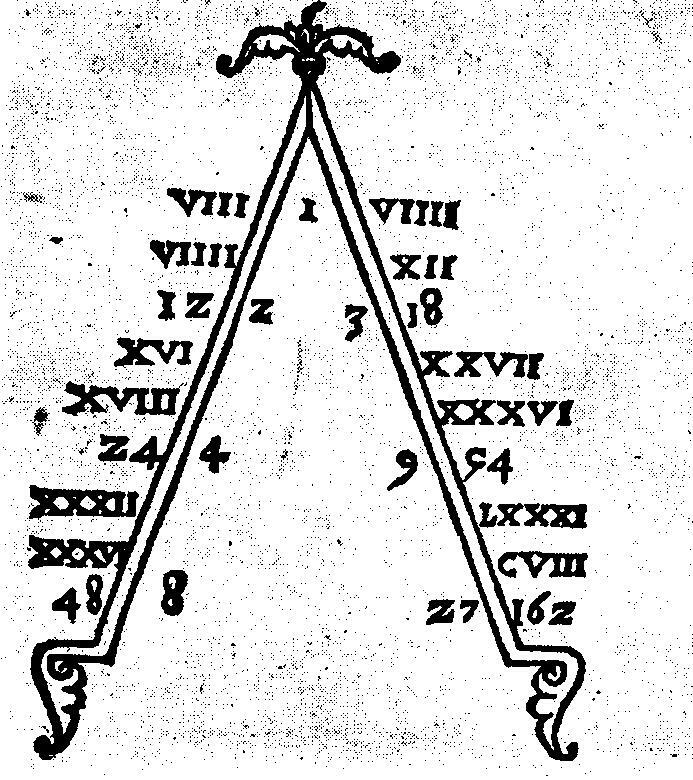 For example, a fifth harmonic chart would depict all quintiles (72 or 144 degrees) as conjunctions, so that close aspects of 36 degrees would be oppositions, of 24 degrees would be trines, and 18 degrees would be squares. Most astrologers who use harmonic charts look for how certain planetary aspect configurations resound to a number and its symbolism. In “radical” charts and in harmonic charts, Landwehr notes T-squares and Grand-Trines, Kites and Half-Kites, stelliums and configurations involving semi-squares and sesqui-squares, using fairly wide orbs to identify these patterns. This is not surprising, given the tendency of modern astrologers to use chart patterns and chart configurations, although applying them to harmonic charts is a bit unusual. What does He Do with This? Much of Arithmology applies astrological criteria for the different Number Realms. 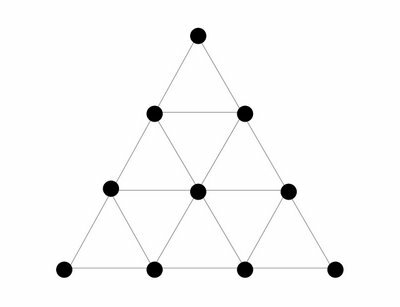 Looking over a chart for Number Realms reminds me of a musician scanning a score for its structure, noting patterns and hidden structures, e.g. sometimes in a transition it’s not clear what key a set of notes belongs to. In the same way, Landwehr looks over a natal chart for themes that relate to the different Number Realms. He emphasizes particular planetary configurations and one or several planets may belong to different Number Realms like a set of notes may relate with different key areas. Landwehr’s system is planet-centered, not sign-centered, and his interpretations of planets in their realms (and chakras) are always interesting. Here’s a glance at two Number Realms, Seven and Eight. I use them partly because of the complexity of Seven and the relative simplicity of Eight. We will also see ways in which Landwehr structures his Number Realm presentations. He is not being arbitrary but his selections are based on mythological themes and how planets resonate to certain numbers. Number Seven patterns can be found through combinations of Pallas, Mars and Mercury and/or Pluto; Moon, Jupiter, and Uranus form another pattern. Saturn with Mercury and Sun, and Mars or Pluto – also yield Realm of Seven. Additionally he’ll look at configurations involving Venus, Jupiter, and Neptune. This may remind you of the yogas in Hindu astrology or aphorisms in traditional Western astrology that depict possible outcomes based on how different chart factors interact. To me they seem very useful ways to sharpen the astrological imagination. Landwehr, whose depictions of planets’ roles in different realms may perform the same service. Much in the chapters on the Realms is devoted to interpreting the activity planets within Realms, and they are some of the best passages in the book. For Realm Seven Landwehr looks at the astrological asteroid Pallas and the myth of Pallas Athene, then Perseus and the killing of Medusa, noting themes that relate to this Realm. His presentation is not scholarly but thematic and his presentation of myths distinguish between origins, interpretations given by patriarchal ancient cultures, and a modern re-interpretation. His reinterpretations may remind you of Bernadette’s Brady’s that relate to the fixed stars. You may find both attempts at modernizing ancient myths to be refreshing or a little too politically correct. Landwehr applies these ideas to astrological charts of historical figures. For this Realm he divides charts into different patterns. The French poet Charles Baudelaire has a “Perseus Pattern” that involves Mars, Pallas, Mercury and Pluto. “The Bold Magician” uses Bob Dylan’s chart and presents Moon, Jupiter, and Uranus; the “Taoist Sage” features Mercury and Saturn and brings up Terrence McKenna and Gertrude Stein; the “Artist Provocateur” if facilitated by Venus, Neptune, and Jupiter we again see Baudelaire and Dylan but also Robert Redford and Amelia Earhart. Interspersed are interesting discussions of Vesta, Chiron, Saturn and Mercury. Simpler is Landwehr’s exposition of the Realm of Eight that focuses on the Moon, especially the crescent Moon, along with Venus and Neptune. Here he discusses the many features of Aphrodite and including a fascinating reinterpretation of the myth of Europa who is carried away by Zeus who’s disguised himself as a cow. In this context he invokes the “Wisdom of the Serpent”: “the knowledge that Nature herself is intelligent, ordered, and perpetually rebalancing itself; it is by allowing this intelligence – which is in us as well – to guide our actions, our individual lives and our quest for harmony, order, and balance…” (Arithmology, p. 445) He adds valuable discussions of Vesta, Saturn, and Neptune in its integrative and disintegrative capacities. He supplies features of the charts of Pierre-Auguste Renoir (focus on Venus) and Michael J. Fox (focus on Neptune and his struggle with Parkinson’s), His primary interest is in the astrological chart of Friedrich Nietzsche whose astrology he gives us like a reverse Cheshire Cat – first we see the Sun and crescent Moon, he includes Venus in the following chart, then one that adds Pluto, yet another with Neptune, finally an eighth harmonic chart that includes trines from Neptune to many planets in the Tenth House. I applaud his use of many example charts, ranging from “mundane” historical events to a wide range of individuals. I found it frustrating not to have the entire chart available, only those configurations Landwehr uses, making it difficult to see additional factors that would reinforce or mitigate his interpretations. To illustrate evaluating a chart for membership in various Number Realms, he uses his own, and it’s an interesting read. If you’ve read this review this far you already know if you’d like to study Landwehr’s work further. I wish these two books were made into one book to which a stronger editorial scalpel would be applied. Although the complexity of his system necessitates a complex exposition, his presentation could be made easier for the reader. 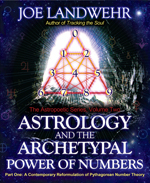 Astrology and the Archetypal Power of Numbers, both Parts, is the work of a wise, hard-working, and resourceful person who has put much of his life-energy into using astrology to understand and guide others. I especially appreciate his determination to go beyond self-actualization and look at how we as individuals participate in a larger world, and that the astrological chart can give indications how this can happen. Daunting and difficult as it may be, Joe Landwehr’s work deserves respect for its strong positive motivation and its great originality. * As noted (page 256), “The thrust of Part One of Reformulation – creating a visceral sense of numbers that transcends their purely mathematical function to engage not only the mind, but also the senses and the emotions – is not just a whim, but rather a logical extension of the arithmological vision.” The section on the musical correlates to number, from which you quote, is meant to elaborate that – but only as part of a much larger discussion for which the preceding chapters have been a prelude. *Among the 50 or so case studies in this book, there are many examples of those wrestling with ordinary experience (albeit on the public stage) – Hans Christian Anderson, Charles Dickens, Gloria Steinem, Maya Angelou, Marie Curie, Robin Williams, Judy Blume, Charles Baudelaire, etc. etc. My focus in Arithmology was to show how, in a sense, numbers become an organizing principle for understanding how ordinary experience provides an opening (with no guarantees) to a deeper participation in divine intelligence, or to consequences born of a refusal to participate. * This comparison [between the author and Alice Bailey] is both flattering and misleading. It is flattering in the sense that Alice Bailey was a seminal figure in the history of esoteric thought. It is, however, misleading in the implication that my system is, like hers, a rarified pathway to spiritual evolution divorced from ordinary life. I do think that Bailey’s work was that, but mine is not. I believe that the vehicle for spiritual evolution is everyday life, and the challenges of healing and self-actualization that any soul faces, and I have tried to show that in many of the case studies in my book. Even people like Gandhi and Thomas Merton came by their spiritual evolution by wrestling with ordinary life, and then extending what they learned in doing so to the benefit of the collective. I am discussing their lives and their charts, not as examples of enlightened beings on a rarified path, but as ordinary humans, whose attempt to integrate divine intelligence led to a contribution to the larger movement of cultural evolution. * It is theoretically true [that shunyata is not a reality different from our world as it is or appears to us]. It is, however, in practice, a gradual process of coming to a realization that is anything but obvious. In most human lives, from a psychological perspective, the vehicle for this realization is our entry into the underworld, in which life as we know it is devastated, or no longer exists, and we realize through our own experience, that form – the appearance of things – is empty, impermanent, not something it is wise to become attached to. * [On the thing-ness of shunyata]. To call shunyata a “non-affirming negation” or anything at all, really, is to make it into something. This is why creation myths talk about the Void, or the “vast empty sea” or the Sipapu – all of which signify the experience of nothing with an image that evokes it. This is also self-contradictory, but necessary if we are going to talk about it at all. When I talk about the Realm of Zero, what I am talking about are all those experience that evoke a sense of nothingness. This is another instance of moving from ontology to phenomenology to spiritual psychology. * Historically, most monotheistic cultures recognized a pantheon of lesser deities, even if they did not call them that, while most polytheistic cultures also recognized chief overarching deities, even as they honored many lesser ones. So the philosophical distinction between monotheism and polytheism is somewhat artificial. Meanwhile, the Greeks – who were a polytheistic culture – chose to represent this Realm a sun god (Apollo), a chief deity (Zeus) and the chief deity of an earlier generation of gods (the Titans) – Ouranos. My distaste for monotheistic cultures stems from the fact that in many monotheistic cultures, there was a political attempt to force workship of the One to the exclusion of the Many. This is a distortion of the ways in which polytheism and monotheism can philosophically complement each other, and otherwise often did. * The Pythagoreans continued to project other gods and goddesses into the other number realms, saving the Realm of One for those that might assume a more monotheistic function within a polytheistic culture. * In Chapter One of Reformulation, I talk about much more than Ain Sof as a point of entry into understanding “that oneness that is inseparable from everything but cannot be apprehended or comprehended.” As with a discussion of Zero, however, there is only so much one can say about these mysteries without turning them into a merely intellectual exercise in metaphysical speculation. Volumes have been written, and I add my two cents worth in both books. But my intent is in fact phenomenological/transpersonal – that is to say, oriented around a concern with how we get from a sense of connection to the divine (in whatever form that might take) to a personal embodiment of divine intelligence that is at once spiritual and practical in the sense of helping further our collective evolution. * [On the duality of the Realm of Two]The specific criteria that one adopts (and it will differ from person to person and from context to context is less important here than the intent, which must be rooted in inclusiveness, acceptance, and an honest attempt to understand “otherness,” in oneself and in others. This is a matter of consciousness (being and knowing) out of which doing along a path of equality proceeds. * My discussion of houses is not based on astrological tradition, but rather follows the work of Dane Rudhyar, who elaborated houses as a dimension of the astrological language distinctly different from signs. I also take exception to Zipporah Dobyns’ notion – adopted by most contemporary astrologers – that the houses equate by natural order in a counterclockwise direction, since the movement of planets through the houses on a daily basis is clockwise – rising at the ASC, culminating at the MC, setting at the DSC, and anti-culminating at the IC. I do use a quadrant system, but follow Porphyry in dividing each quadrant into equal thirds. All that aside, however, my correlation of the number realms presented in Arithmology is not to houses at all, but to quadrants, and this is based on the mythology of the angles, which – from the clockwise perspective – mark the beginning of what would usually be considered the preceding quadrant: e.g. planets that set at the Descendant continue moving clockwise through the NW quadrant toward the IC, and thus mark the beginning of the NW quadrant, not the SW quadrant as is most often assumed in contemporary practice. All of this may seem foreign to both traditional and contemporary astrologers, but it is, in my opinion, a logical approach for reasons I spell out in Chapter Two of Arithmology.